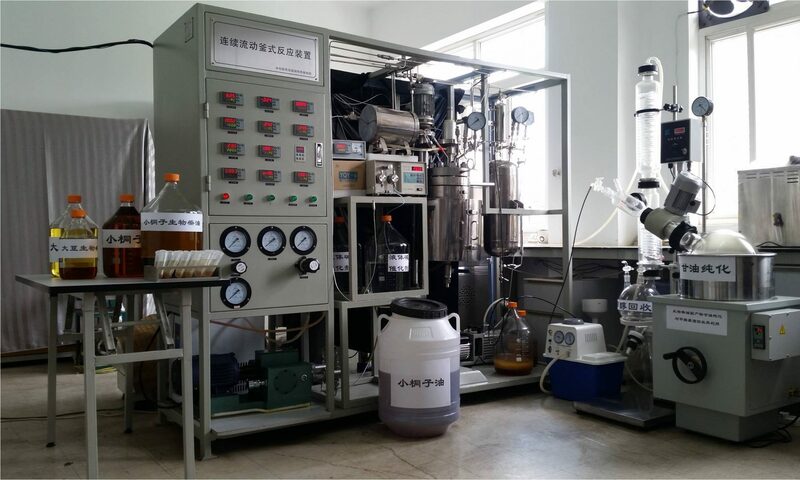 Catalytic transformation of biomass sources into biofuels and value-added chemicals generally involves multi-step reaction processes, as well as difficulty in product separation and purification. In recent years, bifunctional catalytic materials have been demonstrated to be capable of catalyzing various domino/cascade- and tandem/sequential-type reactions in a single pot, thus realizing the direct and highly efficient conversion of upstream biomass molecules to target compounds. Dr. Hu Li, a postdoctoral student, supervised by Profs. 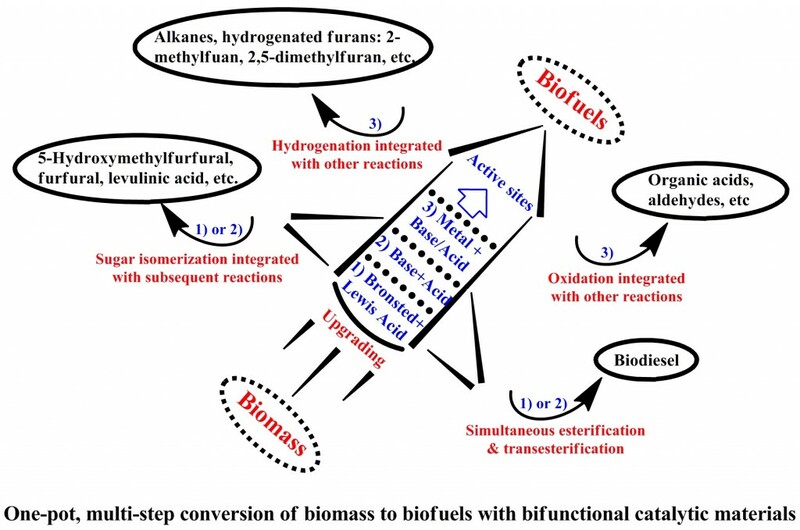 Song Yang (Guizhou university), RL Smith (Tohoku university, Japan) and Zhen Fang reviewed a series of bifunctional materials being used in one-pot multiple transformations of biomass into biofuels and related chemicals. Emphasis is placed on the assessment of the bifunctionality of catalytic materials, including Bronsted-Lewis acid, acid-base, and metal particles–acid or base bifunctional catalysts with some discussion being on combined catalytic systems with electrochemical, chemoenzymatic and photochemical methods. Plausible reaction mechanisms for key pathways are shown. Meanwhile, relevant auxiliaries to boost catalytic activity and product selectivity, such as reaction media, heating modes and morphological properties of the catalytic materials are analyzed. Use of appropriate bifunctional catalytic materials provides many opportunities for design of highly efficient reaction systems and simplified processing to produce biofuels and chemicals from lignocellulosic biomass. H Li, Zhen Fang*, RL Smith Jr., S Yang, Efficient Valorization of Biomass to Biofuels with Bifunctional Solid Catalytic Materials, Progress in Energy and Combustion Science, 55: 98-194 (2016).